The must huggable and snuggable bear is back spreading optimism as if it was marmalade itself! Paddington (voiced again by Ben Whishaw) returns in this brilliant sequel that both kids and adults will absolutely love. 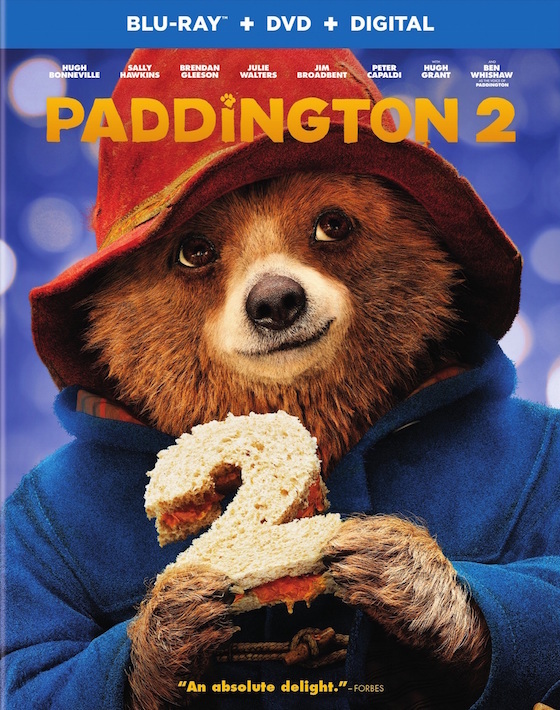 Paddington 2, directed again by Paul King, gives us more of the marmalade-loving bear, the Brown family, and expands the storyline to give us a clearer picture of the community around this lovable fictional character in children's literature. Originally created by British author Michael Bond and star of over 20 some odd books and a television show, the second live action movie solidifies all the reasons why the first one was the massive success it was. There is such warmth and charm bursting forth from this production that you can’t help but fall in love with it all over again. "Paddington 2 is better than the original film. Of this there is no doubt." Prepared for a retread? Don’t be. Paddington 2 dares the impossible and gives us Paddington as matchmaker; Paddington as gift-giver; and Paddington as the extraordinary creation that he is. It is a delight. The second one, if you can believe it, capitalizes on what made the first on so great and, thanks to a great story that tackles all the hatred spreading across England and America with a simple reminder that KINDNESS GOES A LONG WAY TO A BETTER DAY. And, yes, that rhymes for a reason. Now enjoying his life with the Brown family, Paddington the bear spreads his joy like he spreads his marmalade. Everywhere. When a pop-up book catches his eye from within an antique store, he decides it would make the very best gift for the upcoming 100th birthday for his Aunt Lucy (Imelda Staunton). Unfortunately, the book is stolen by a narcissist and failed actor (Hugh Grant) and Paddington lands behind bars, never surrendering to the situation around him. Paddington doesn’t get hopeless; he doesn’t give up. He uplifts those prisoners around him, finds himself in the middle of a prison break, and goes off in search of the book and the actor now starring in dog food commercials. Can he get things righted before his Aunt’s birthday?! Co-starring Brendan Gleeson as Knuckles McGinty, a safe cracker and prison cook, Jim Broadbent as the antique shop owner, and Peter Capaldi as the grumpy Mr. Curry, who serves as the foil to the fabulous world around Paddington Brown, Paddington 2 is the rare sequel that surpasses what made the original so memorable. Paddington 2 is better than the original film. Of this there is no doubt. MPAA Rating: PG for some action and mild rude humor. Tagline: Small bear. Big trouble. Memorable Movie Quote: "Aunt Lucy said, if we're kind and polite the world will be right." Synopsis: Paddington, now happily settled with the Brown family and a popular member of the local community, picks up a series of odd jobs to buy the perfect present for his Aunt Lucy's 100th birthday, only for the gift to be stolen. Home Video Distributor: Warner Bros.
Warner Bros gives Paddington another great 1080p release. The warm childlike colors are well saturated and the black levels are consistently strong. The details are striking and rich, with a crispness that is as resilient as its depth. The CGI bear – especially in close-ups – is very striking. Hues are solid and, when there is a change in location, the shift in colors is smart and vibrant. Through it all, the changing hues are visual treats. 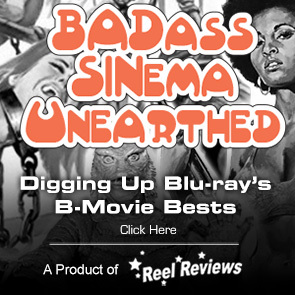 The film's ATMOS Digital track is dynamic and engaging, firing on all cylinders. Paul King provides another solid commentary about the making of the second film in the franchise. Extras on this release include Rain on the Roof with Phoenix Buchanan, Paddington 2: The Challenge of Making the Film featurette and a BAFTA Q&A with David Heyman, Paul King, Simon Farnaby, Hugh Grant and Pablo Grillo. A DVD and digital copy is also include with purchase.